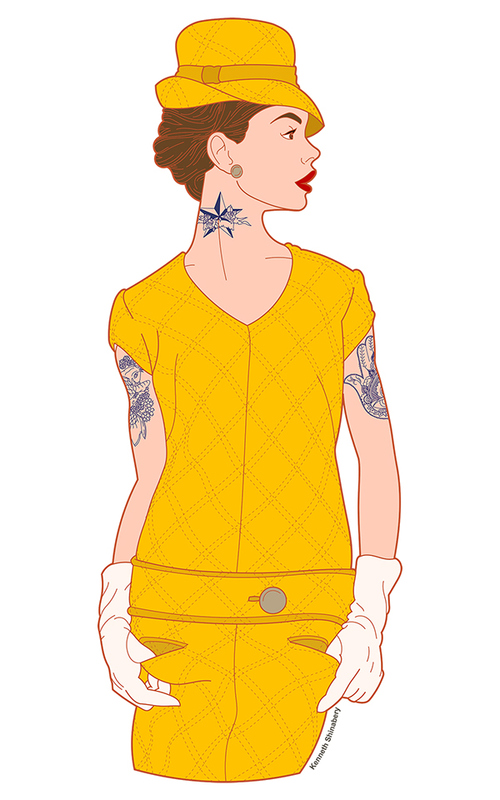 This illustration is the third in a series portraying women in vintage fashions with a modern edge. 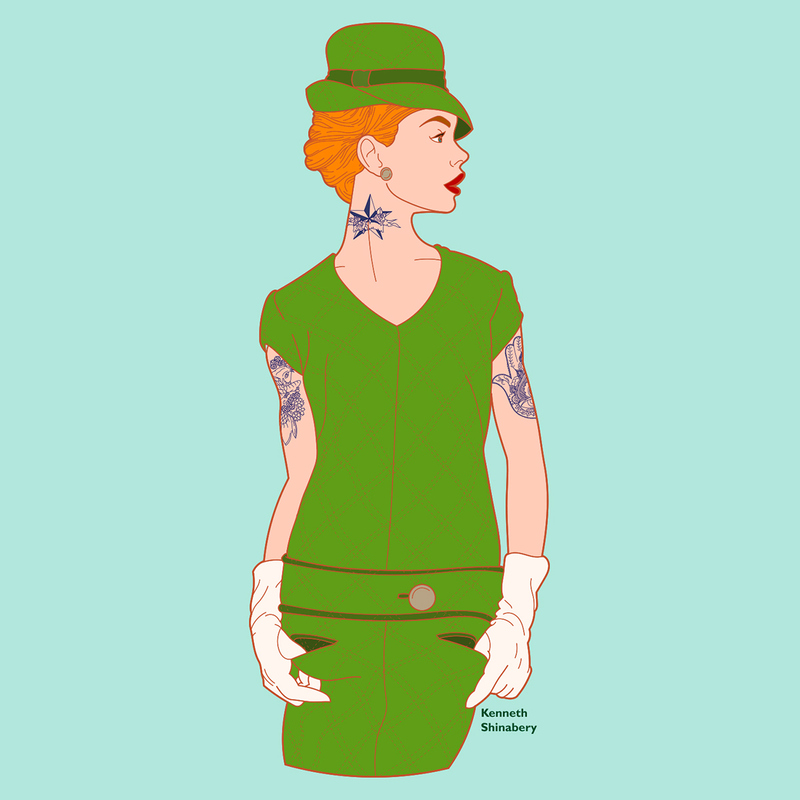 Adding carefully chosen tattoos in order to depict a more modern woman show that women who have tattoos can still be classy. These illustrations were created for two types of purposes.... firstly as possible editorial illustrations and secondly as possible illustrations for advertising. The images also work well as prints. 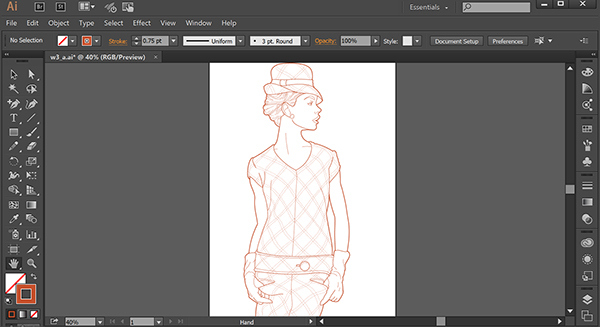 The images have been created completely in Adobe Illustrator using a Wacom Cintiq Companion 2. 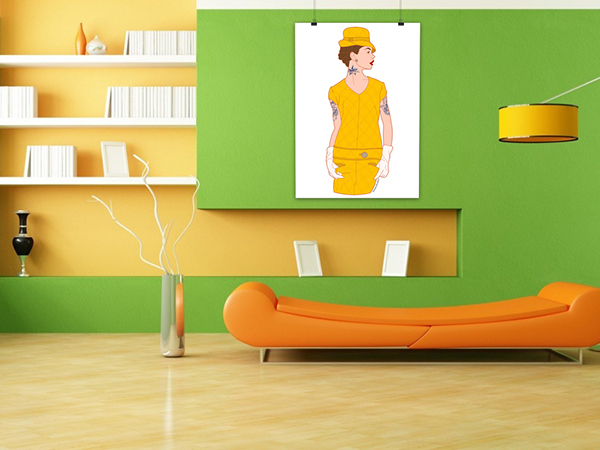 Now available in my Redbubble online shop as prints, t-shirts, bags and more. Visit my shop today by clicking HERE! 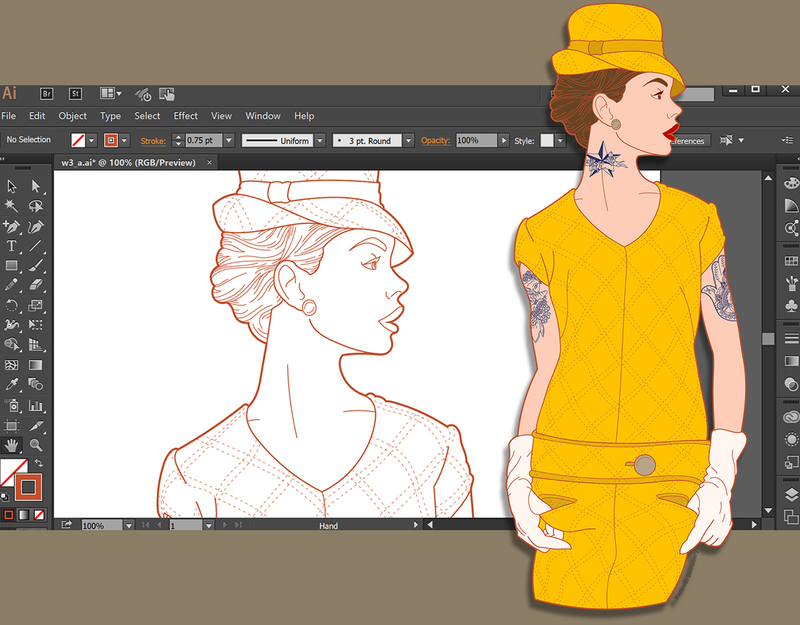 Recolor requested by a client for private commission. 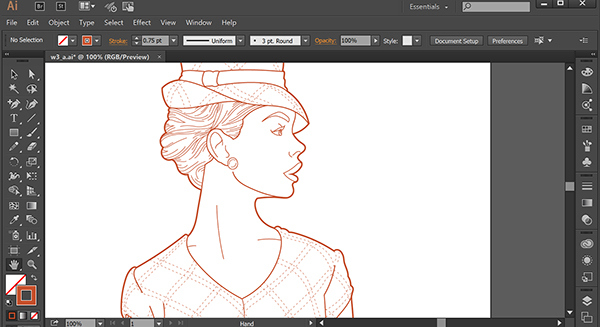 Art Director Kenneth Shinabery creates a unique series of vintage meets modern images that can be used as fashion illustrations or editorial illustrations. The visions can also be used for advertising purposes as well.